The jangly, thrift store jewelry, the grown out brunette roots -- I don't know about you, but I'm loving the early Madonna vibe right now. Excuse me, I need to go rip my jeans. 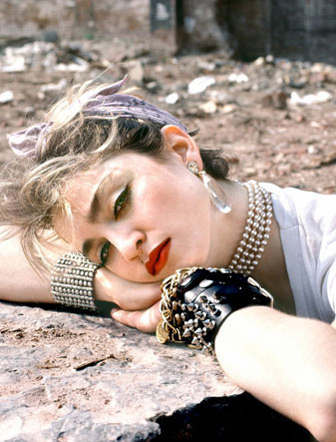 There is something still so refreshing about seeing a young Madonna in pictures. You can tell she just stood out from the crowd in an awesome way. I totally agree with you. That first picture, she is so stunning!